I'm still recovering from last weekend's Woolfest which was a fantastic show. The mix of stalls seemed to be slightly more diverse than usual. 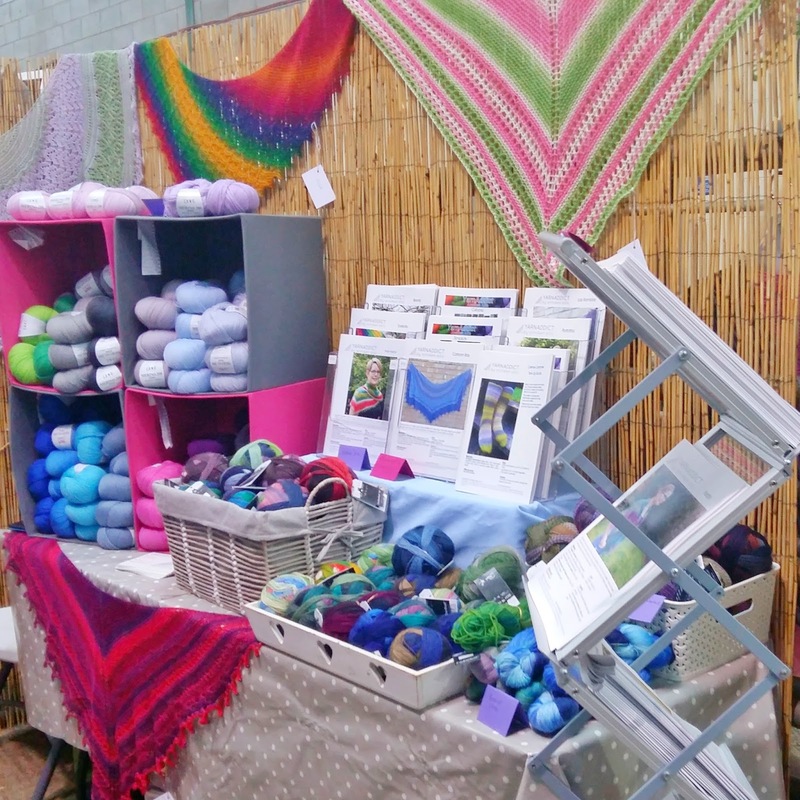 There seemed to be more stalls selling hand-made items but there were still lots of choice for knitters. I only bought a few buttons and some Hiya Hiya knitting needles. There was lots of yarn temptations but I managed not to give in. I love doing shows as it's a chance to meet the knitters who knit my patterns and buy my yarn. This time I did two talks each day on How to knit faster. 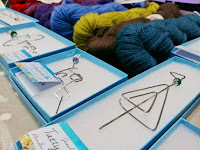 The talk was based on my blog post 'Four Tips To Help You Knit Faster'. 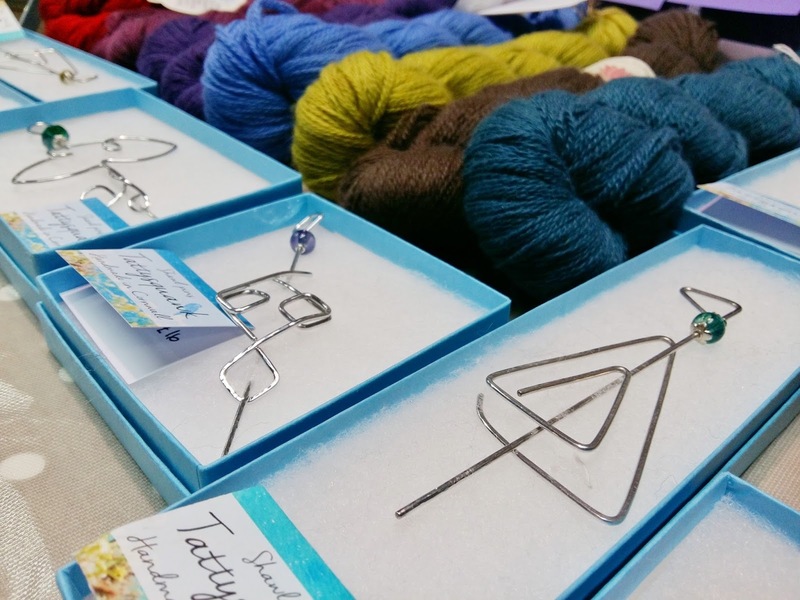 I also did a demo on the continental knit stitch, continental purl stitch, Norwegian purl stitch and the combined purl stitch. 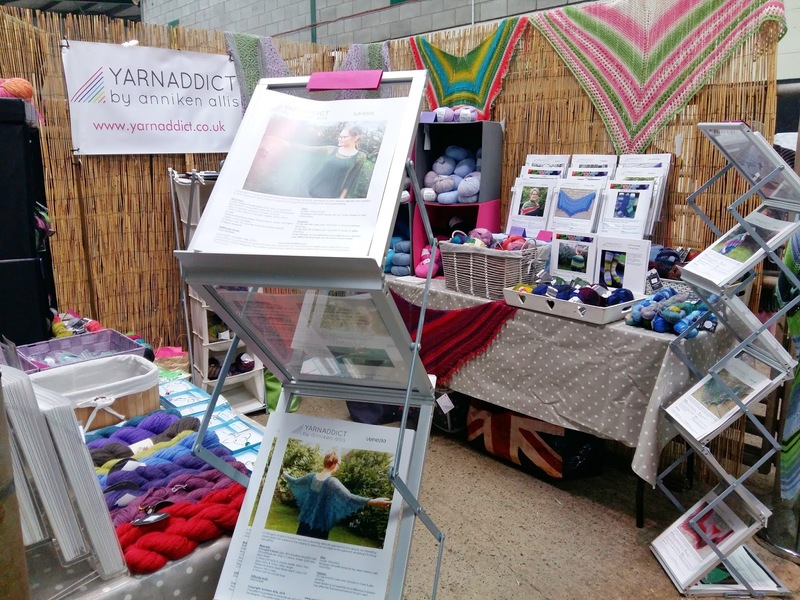 It was nice to share my passion for continental knitting and to chat with more knitters. Thank you to those who signed up for my Online Continental Knitting with Norwegian Purl course. 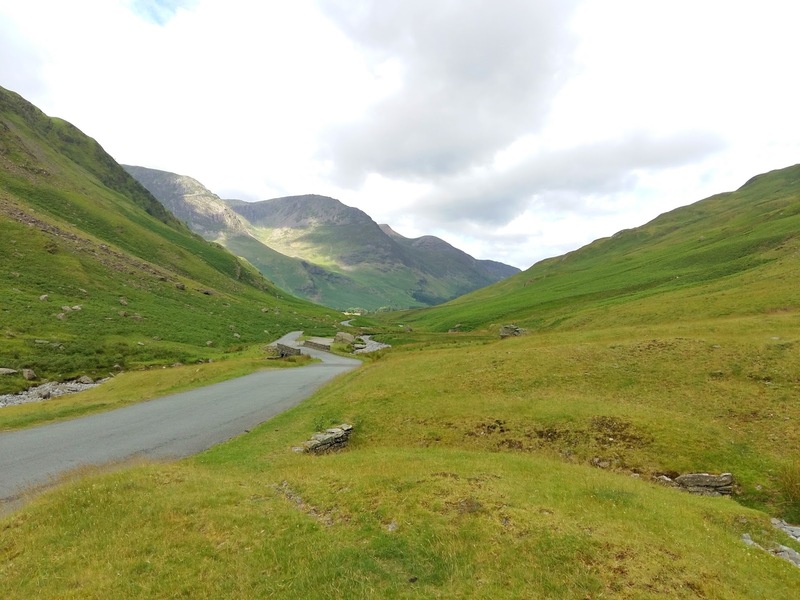 Woolfest is held in Cumbria which is a long drive for us so we always try to turn it into a mini holiday. We stopped at Beeston Castle in Cheshire on the way up. 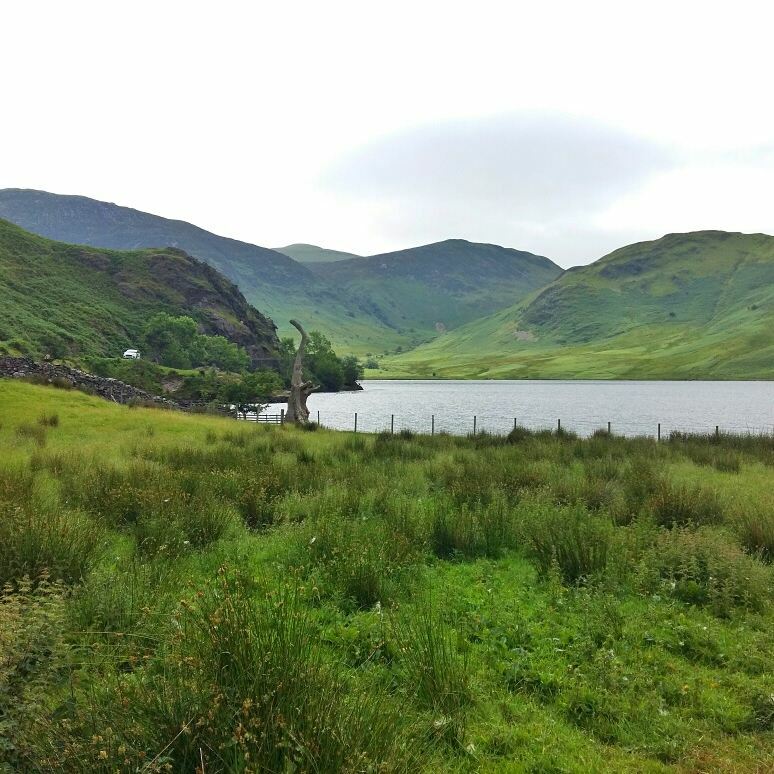 There were beautiful views and it was nice to have a break from the driving. 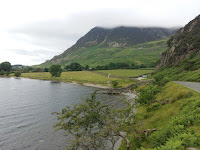 On Thursday, before we went to set up for the show in the afternoon we visited Carlisle Castle in Carlisle and on Sunday, on the way home, we took a detour past Crummock Water, Buttermere and Honister Pass. 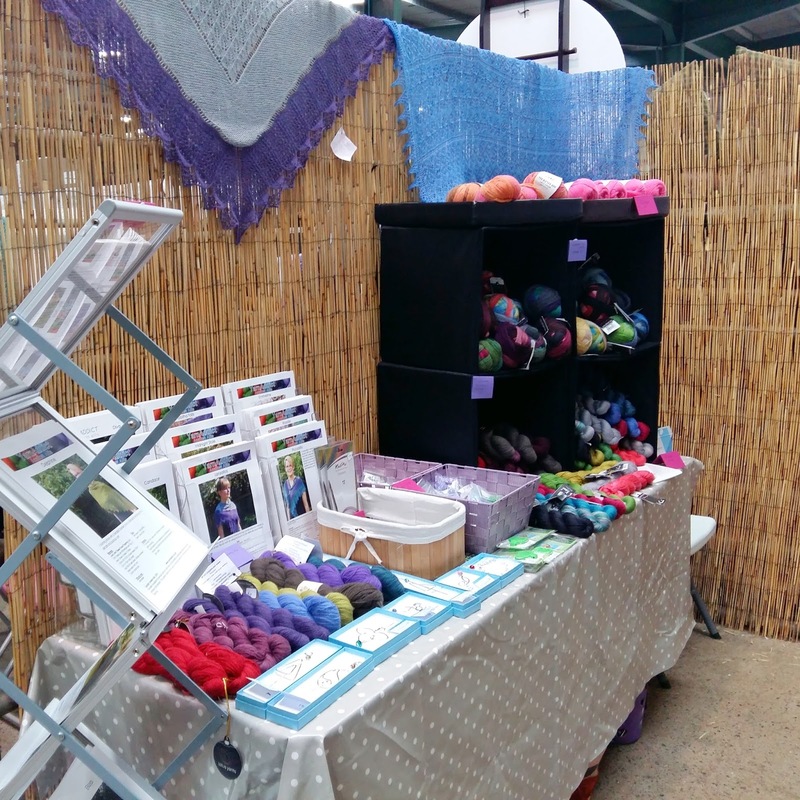 Thank you if you purchased from us at Woolfest and it was lovely to see you if you stopped by to say hello. 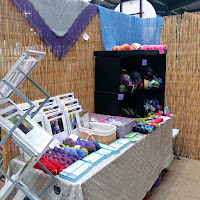 Hopefully we'll be back at Woolfest again next year. 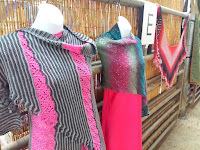 as well as exclusive subscriber offers like discounts on new patterns?